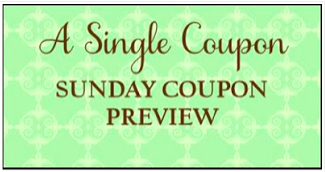 Sunday Coupon Preview 11/15! There will be 2 inserts this weekend! Please Note Some Coupon's Maybe Regional!